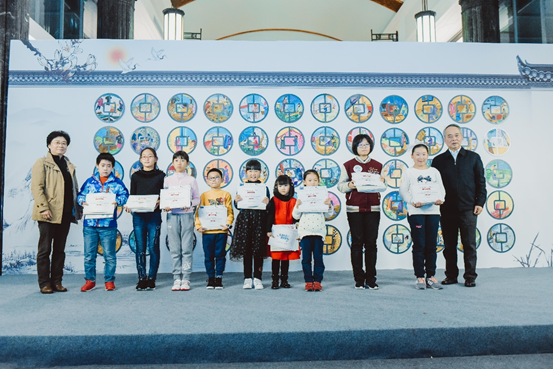 On Nov. 18, 2018, the second teenage public welfare drawing activity – “filial love on nibs, family tradition on picture” was held in the lobby of Bank of China. Shanghai Branch on No. 23, East Zhongshan No.1 Road. The event exhibited distinguished children’s paintings. Bank of China, Shanghai branch, and Shanghai Soong Ching Ling Foundation invited 60 families to create a giant “hundred filial” painting. Mrs. Wang Chen, vice president of Bank of China, Shanghai Branch，Mrs. Zou Wei, executive vice chairman of SSCLF, Ms. Shu Min, party branch secretary of SSCLF and Mr. Cheng Zhiqiang, director of the Asset Management Committee of SSCLF attended the event, cordially communicated with the children and joined in the children completing the “hundred filial” painting. And they gave the awards to the award-winning children. Prior to the event, Bank of China opened the bank history pavilion to all the children who attend the event. Bank commentator vividly explained the financial history of modern China in detail. 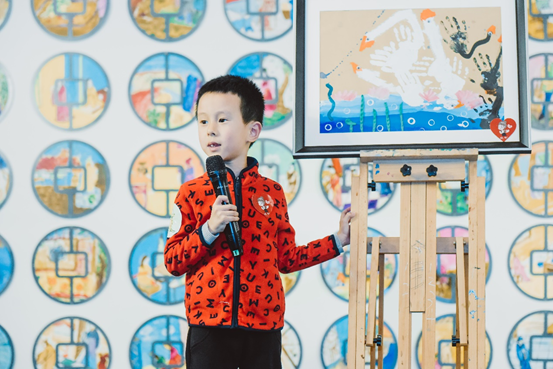 At the Themed creation area, the children and their parents created the paintings depicting their families full of affinity, filial piety, love and diligence in their hearts. The second children public welfare painting collection activity started in early June this year. Less than 20 days, the organizing committee received more than 600 themed pictures. 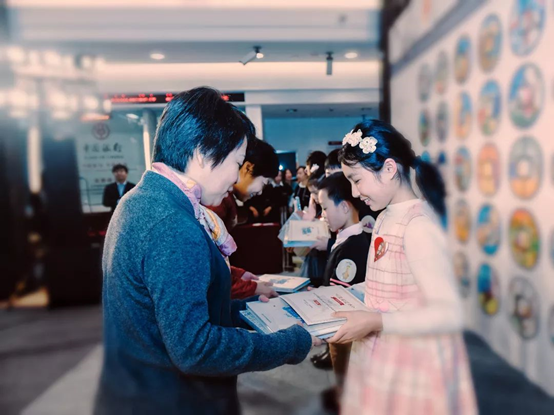 On the day of the event, eight small painters sold their award-winning works at charity auction, and all the revenue would support the public welfare project of "From Big Mountains”. This event is the second cooperation after SSCLF signed the strategic cooperation agreement with Bank of China, Shanghai Branch last year. Both sides will collaborate to launch more children's favorite public welfare cultural activities in the future.